Handset major Nokia on Friday unveiled two dual SIM mobile handsets in India – Nokia C2-00 and Nokia X1-01. The dual SIM music phones, made at the company's Chennai facility, have set new benchmarks in the mobile Internet and music space in the entry-level dual SIM category, said Vipul Sabharwal, director sales, Nokia India, during the launch. Nokia said the two mobile phones offer smarter multiple SIM management and enhanced music capabilities, and the handsets have been designed keeping in mind the requirements of the Indian consumers. Nokia claimed the Easy Swap feature of the handset allows users to change SIM cards turning off the phone or removing the battery. 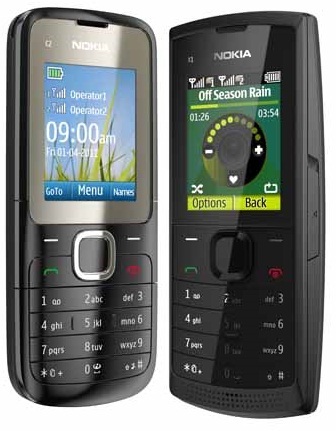 Also, with the Nokia C2-00, users can browse the Internet, read emails and enjoy instant messaging with either SIM card. With 32 GB expandable memory, one of the interesting features of Nokia C2-00 is that there is no need to reboot or redefine settings, as the phone remembers up to five different SIM cards. 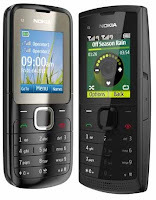 The Nokia C2-00 has been priced at less than Rs. 3,000. Coming with up to 16 GB of memory support, Nokia X1-01 also boasts of a 'jumbo' battery that promises continued music playback of up to 36 hours.